DAMASCUS, (ST)_ H.E. President Bashar Al-Assad pointed out that Saudi Arabia, Qatar, and Turkey support terrorism in Syria. 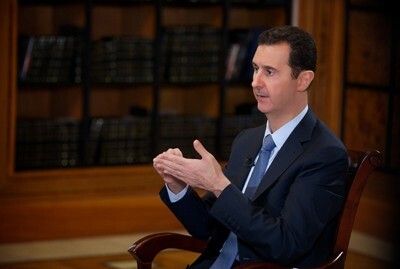 Interviewed by Al-Mayadeen Satellite TV, President Al-Assad added that Saudi Arabia publically supports the armed groups and implements sincerely the policies of the United States. Syria is to negotiate with the boss and not with the executioners. In reply to a question, H.E. President Al-Assad added that it is still early to talk about his candidacy for Presidency in the coming elections before setting the date for the elections, pointing out that there is no reason, however, as not to be a candidate. H.E. 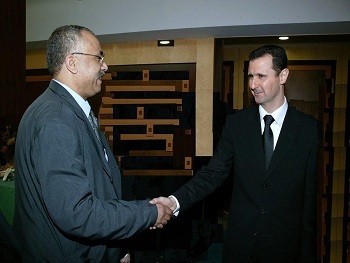 President Al-Assad called on the UN envoy to Syria, Elakhdar Al-Ibrahimi, to commit himself to his task and not to deviate from it. 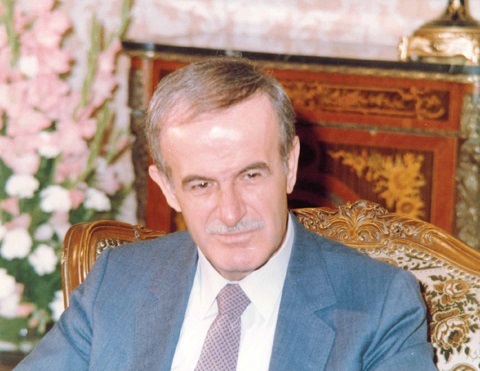 President Al-Assad asserted that the struggle is now with Al-Qaeda and its affiliates like al-Nusra front and the so-called Islamic State in Iraq and Bilad al-Sham, asserting that the ongoing in Syria is different from what happened in Tunisia and Egypt, particularly as far as foreign intervention, and flow of money and terrorists, not to mention the peculiarity of Syria, political situation and the structure of the State. ''carrying weapons transforms any opposition into terrorism,'' said President Al-Assad. H.E. President Al-Assad added that the West wasn't interested in fighting terrorism in the 70s and 80s, asserting that Syria allied itself with all countries to combat terrorism, including the USA. "Terrorism can't be used as a card and Syria has ever been against terrorism,'' declared H.E. President Al-Assad. DAMASCUS, (ST) – In an interview with the German Der Spiegel News Magazine, President Al--Assad said that through Western support, now there are thousands of al-Qaeda fighters from 80 countries in Syria. Der Spiegel: Mr. President, do you love your country? President Al-Assad:Of course, and in this I am no different from most people. This is not merely about emotions, but rather about what one can do for his country if he has the power and especially in times of crisis;and at this particular time, I realize more than ever how much I love my country and so I must protect it. DAMASCUS, (ST)- The biggest victory today is to eliminate terrorism, terrorists and terrorist thinking, underscored H.E. 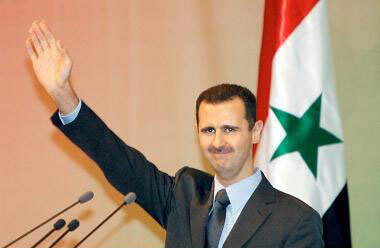 President Bashar Al-Assad. Interviewed by the Tishreen (October) Daily on the 40th Anniversary of Tishreen war of liberation, President Al-Assad outlined that "Most of world countries are today aware of the ongoing in Syria and most of them stand by Syria as far as the solution, especially when the solution is through Geneva 2,'', asserting the need to end support for terrorist groups in Syria, especially the support provided by the West tools in the region like Turkey and Saudi Arabia. H.E. President Bashar Al-Assad expressed his belief that the West hasn't so far abandoned its colonial mentality of hegemony policy. H.E. President Al-Assad pointed out, however, that the blockade imposed by the West on Syria is no longer a problem, if Syria were able to open its relations better with the rest of world countries. "The US side can't be trusted and the US history has no commitment by its part to anything it says. The US might say something in morning and do the opposite in the evening. Thus, as I see, the US isn't sincere as far as the issue of agreement with Russia, and this agreement has not been reflected, at least till today, on the performance of these countries; Saudi Arabia is still sending the terrorists and supporting them with money and weapons, and Turkey is still providing the terrorists with logistic support and facilitating their movement and entry to Syria,'' added H.E. 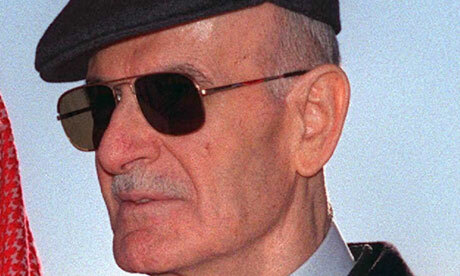 President Al-Assad. 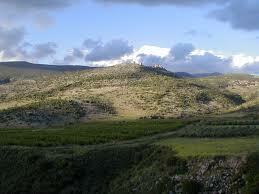 "The crisis, though of its intensity, shouldn't frighten us nor make us lose hope. 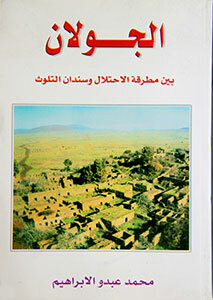 The mistake isn't to learn from this crisis as to be stronger in coming crises,'' underscored H.E. President Al-Assad. DAMASCUS,(ST)_In an interview with Turkey's Halk TV and Yurt paper, President Bashar Al-Assad called Turkish Prime Minister Tayyip Erdogan "bigoted" and said Ankara was allowing terrorists to cross into Syria to attack the army and Syrian civilians. "It is not possible to put terrorism in your pocket and use it as a card because it is like a scorpion which won't hesitate to sting you at the first opportunity," President Al-Assad said, according to a transcript from Halk TV. "Before the crisis, Erdogan had never mentioned reforms or democracy, he was never interested in these issues... Erdogan only wanted the Muslim Brotherhood to return to Syria, that was his main and core aim,.. Erdogan was only interested in how many Muslim Brotherhood members were released." President Al-Assad outlined. 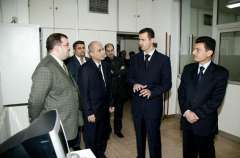 In the said interview, President Al-Assad again denied the Syrian army had used chemical weapons and blamed such attacks on the "rebels". In response to a question on ruptured relations with Turkey, President Al-Assad said the ruling Justice and Development Party (AK Party) does not represent the entire Turkey, adding that relations are between the peoples of the two countries. 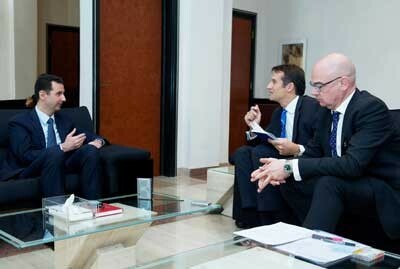 DAMASCUS, (ST)- President Bashar al-Assad has given an interview to the Italian Rai News 24 TV channel . Rai News: Mr. President, thanks for having us here. It’s a very important moment, because the UN Security Council just approved with unanimity a resolution asking Syria to eliminate completely its chemical weapons. Are you going to comply with this? President Al-Assad: Actually, we joined the international agreement for preventing the use and acquirement of chemical weapons before that resolution came to light. The main part of the Russian initiative is based on our will to do so. So, it's not the resolution. Actually, it's about our will. Of course, we have the will, because in 2003 we had a proposal in the United Nations Security Council, to get rid of those weapons in the Middle East, to have a chemical weapons free zone in the Middle East. So, of course we have to comply; this is our history: to comply with every treaty we sign.